Jim Carrey’s feud with Mussolini is peak internet…but have you met Stalin’s hipster granddaughter? 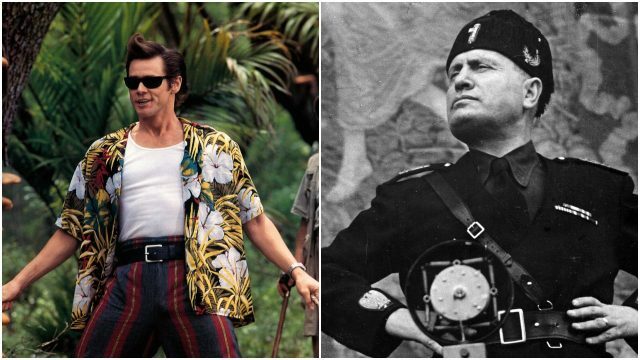 This morning, Jim Carrey dragged Benito Mussolini on Twitter, which quickly provoked a response from the dictator’s granddaughter, and elevated the internet into lofty new heights/lows. We’ve approached “peak internet” so often that we don’t appreciate the scale of nonsense. However, this morning, I feel we may have truly reached the top of poop Everest, as professional odd person Jim Carrey decided to bag fascism, dissing the dead Benito Mussolini, which prompted a response from his living granddaughter, Alessandra. Carrey’s above image represents the final moments of Benito, as he (along with his mistress) as angry crowds strung up his (recently executed) corpse and well, Google it. Alessandra happens to continue the family business, also being a politician – one who seemingly spends her time defending the public image of her famous/infamous Nonno. Back in December, she threatened to ‘sue anyone offending Mussolini’. Back to this morning, and while Jim Carrey has yet to respond to Alessandra’s rebuttal, the internet has continued the battle on his behalf. If I may hit pause for a moment. While I’m of the mind that the internet is a great thing we’re wasting, but it has afforded us moments like these, sterling pieces of curio that could not have happened in the past. The progeny of Italy’s final Caesar in a slanging match over a man who once stuck asparagus in his face? You can’t write that. With that being said, Alessandra is not the only marginally interesting progeny of someone truly awful to sail the seas of the internet. 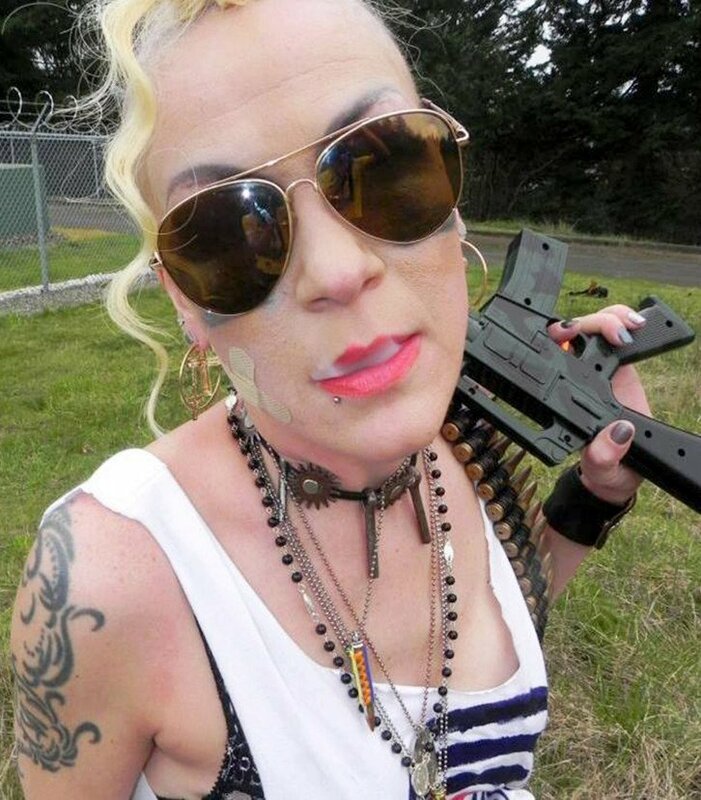 For your consideration, allow me to introduce you to Cherese Evans, the tattooed Portlander who runs an antique store, who happens to be a Buddhist…and who happens to be the granddaughter of Josef Stalin. Cherese is the daughter of Stalin’s only daughter, Svetlana, who defected back in 1966. Svetlana, of course, was an important figure in the life (and the death) of Stalin, as she was the prized sibling of the (self-called) man of Russian steel. Maybe take a lesson, signora.